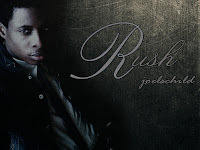 Joelschild is a new artist in the industry; he isnot signed to any record label yet. His mission is to influence the music in Nigeria with his unique sound and style of music. The young soul and R’n'B writer is also blessed with the talent of dancing. He has been the dance coordinator of *REFLECTIONS*, a dance group based in Abuja, Lagos, and London. It would be amazing to see this young artiste blow the industry with his talent. He has got videos on youtube…dancing to various songs by other artistes. Check out "Beautiful" and "Rush". Be sure to follow @Joelschild on twitter.